The University of Montana Alumni Association is proud to sponsor these extraordinary travel experiences. These unique trips combine cultural sightseeing with lifelong learning opportunities - often delivered by experts in the region. Join us, as well as alumni from other colleges and universities, on these delightful adventures. Spain evokes a collection of mesmerizing images: towering Moorish palaces, colorful flamenco dancers, glittering beaches, and lively plazas. Step aboard Oceania Cruises’ intimate Nautica to discover the country’s most vibrant ports of call. 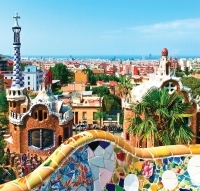 Depart Barcelona for Valencia, renowned for its impressive City of Arts and Sciences. Continue on to sun-kissed Ibiza, a holiday hotspot with glorious beaches. Marvel at the grand Castillo de Santa Bárbara in Alicante, and then stand in awe before Málaga’s 11th-century Gibralfaro castle. Take a cable car to the top of the Rock of Gibraltar for astounding views, or perhaps explore St. Michael’s Cave. Behold the yellow-domed cathedral in Cádiz, where cobbled streets lead to tapas bars and grand cathedrals. Cap off your voyage in Lisbon, home to the Jerónimos Monastery, Portugal’s gem of Manueline architecture. Immerse yourself in glorious Southern culture and the compelling Civil War history that shaped our nation on this outstanding Mississippi River cruise. 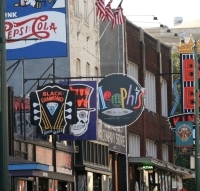 Begin with a stay in Memphis, home to legendary Beale Street, and encounter fascinating Civil War relics at Shiloh National Military Park. Then board the graceful American Queen, the largest and most opulent riverboat in the world, and cruise to Greenville, a charming city with a rich cultural heritage. Browse the intriguing museums of Vicksburg, or step back in time at the renowned Vicksburg National Military Park. 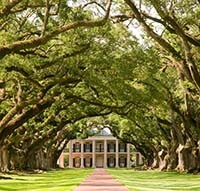 Take in Natchez’s palatial mansions and stunning gardens, stroll along St. Francisville’s historic Royal Street, and admire the Georgian-style Old Governor’s Mansion in Baton Rouge. Before concluding your journey in New Orleans, explore the impressive halls of Nottoway, the largest plantation house in the South. Embark on an odyssey to northern Europe, where beautiful medieval buildings reflect upon tranquil canals, fairy-tale turrets rise above marvelous cities, and quaint cobbled lanes lead to ornate cathedrals. 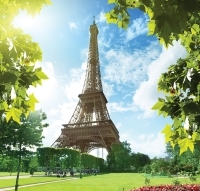 Depart Southampton for Le Havre, a gateway to the iconic sights of Paris, with its glittering Champs-Élysées and Gothic Notre-Dame Cathedral. Delight in the medieval atmosphere of Bruges, a fairy-tale city of bustling markets and serene waterways. See Antwerp’s richly decorated guild houses, and explore the world-class museums and cyclist-friendly avenues of Amsterdam. Discover Bremerhaven’s rich maritime history, or experience Hamburg’s leafy parks and UNESCO-listed warehouse district. Stroll past wooden houses in Kristiansand’s old quarter, and admire the towering Akershus Fortress in Oslo, Norway’s sophisticated capital. Before your voyage concludes in Copenhagen, take in the charming boutiques and cafés of Gothenburg. From regal mansions perched on craggy coasts to historic lighthouses set against the season’s rich medley of gold, amber, and crimson foliage, experience beautiful sights in Canada and New England on this luxury cruise aboard Oceania Cruises’ Insignia. Depart Montreal and sail to Quebec City, where cobbled streets twist past mansard-roofed houses and magnificent churches. Watch postcard-worthy scenery unfold at Saguenay, home to museums and artisan workshops. Browse St. Patrick’s Church Museum in Sydney, stroll the lively waterfront at Halifax, and admire Saint John’s Reversing Falls. Delight in Bar Harbor’s stunning backdrop of sparkling blue waters and towering granite cliffs, or perhaps explore Acadia National Park. Before your odyssey concludes in New York, visit mansion-studded Newport, a charming resort city, and delve into the colonial history and architectural splendors of Boston. October 27 - November 7, 2017, from $2,999/person, double occupancy (airfare included from select cities). *Extended Booking Deadline now May, 1 2017. From graceful canals to captivating ruins and medieval towns, discover awe-inspiring sights on this Adriatic odyssey aboard Oceania Cruises’ Marina. 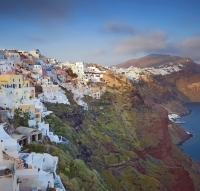 Depart Athens for Santorini, a photographer’s paradise with blue-domed churches and black-pebble beaches. Stroll the seaside promenade in Katakolon, a jumping-off point for adventures in ancient Olympia. Watch incredible scenery unfold on the fairy-tale island of Corfu, featuring a stunning backdrop of olive trees, turquoise waters, and sandy beaches. Admire Kotor’s mist-shrouded mountains, marvel at Diocletian’s Palace in Split, and take in the historic piazzas, serene canals, and arched bridges of Venice. Then cruise to Sicily to explore Taormina’s Greek theater and modern boutiques. Before concluding your voyage in Rome, visit Naples, a classic Italian city of culinary delights and artistic masterpieces, or encounter the legendary ruins of Pompeii. **Brochures will be posted as they become available. For trip details or to download a pre-registration form, visit the Go Next travel website. The University of Montana Alumni Association is proud to sponsor extraordinary travel experiences. These unique trips combine cultural sightseeing and adventure with lifelong learning opportunities. Join fellow UM alumni on these delightful adventures. August 6, 2018, 12 days from $8,995/person based on double occupancy. Triple and quadruple cabin discounts available. Join the crew of the Ocean Endeavour and fellow University of Montana alumni on this classic 12-day expedition through the Arctic's dramatic fjords and dynamic maritime communities. Search for polar bears and whales in Lancaster Sound, pay your respects at the graves of Sir John Franklin's men at Beechey Island, sail across Baffin Bay, and eventually reach Greenland! You will observe the great ice fjord at Ilulissat and discover incredible highlights along Greenland's spectacular western coastline. Presented by Adventure Life. 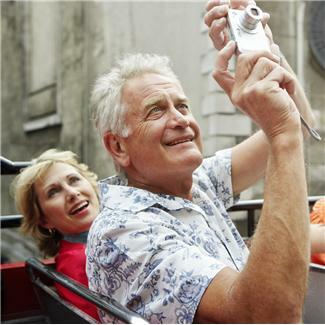 Trip starts at $5,995/person based on double occupancy. Contact Adventure Life at 1.800.344.6118 for more details. July 2018, 13 days from $4,095/person based on double occupancy. Specific dates and pricing to be released soon. Explore the highlights of Vietnam and Cambodia – Siem Reap, Ha Long Bay, Ho Chi Minh City, Hanoi, and Tonle Sap – by land and boat with your expert guide and fellow UM Alumni with an emphasis on the cultures, history, and cuisine of this fascinating region. Begin in Siem Reap and tour the archaeological sites of the Khmer empire. Embark on a seven night Mekong River cruise with visits to remote villages, local markets, and temples, and enjoy the accommodations and fine, local cuisine on your deluxe river ship. 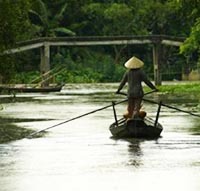 Tour the vibrant cities of Ho Chi Minh City and Hanoi, and study their ancient and modern histories with your local guide. Extend your Southeast Asia adventure with an optional two day cruise on the iconic Ha Long Bay. Trip starts at $4,095/person based on double occupancy, and specific dates and pricing to be released soon. .
April 29 - May 7, 2018. Pricing and details to be released soon. January - February 2019, 11 - 12 days from $9,500/person based on double occupancy. Specific dates and pricing to be released soon. This expedition cruise to Antarctica is perfect for anyone with a sense of curiosity and adventure. Travel through icebergs, encounter unique wildlife, and experience a faraway destination like no other! 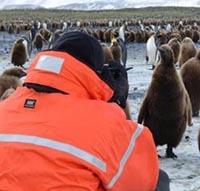 Expert guides lead shore excursions to explore the penguin rookeries, remote bays in search of whales, seals, and seabirds, and historic sites in the South Shetland Islands and the Antarctic Peninsula. 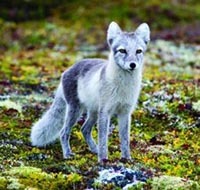 Embark in Ushuaia, Argentina, the gateway to Antarctica, and cross the Drake Passage to the Great White Continent. Trip starts at $9,500/person based on double occupancy, and specific dates and pricing to be released soon Contact Adventure Life at 1.800.344.6118 for more details. June 2019 | 9 Days. Specific dates and pricing to be released soon. Explore the Galapagos, the highlands of Ecuador, and Quito with your fellow Alumni. Embark on an exciting 5 day tour of the Galapagos' wild west! Highlights of the west include beautiful Santa Cruz, wildlife-rich Isabela, cliff-laden Fernandina, and the amazing black beaches of Santiago. These islands are rich with an abundance of wildlife both in and out of the ocean including flamingos, iguanas, sea turtles, rays, and reef sharks. Enjoy the company of friendly sea lions while snorkeling or hike across volcanic landscapes making this a truly unique vacation. Visit the highlands of Ecuador and stay in a historic hacienda. Trip starts at $4,900/person based on double occupancy, and specific dates and pricing to be released soon. Contact Adventure Life at 1.800.344.6118 for more details.